This is coming from the students. As it should, and must. This whole thing apparently started on reddit. Which, again, bullseye. Let there be memes. Alma Otter is the stupidest thing I've ever heard in my life. It's perfect, I love it. Alma Otter is the stupidest thing I've ever heard in my life. Only reason I want this to pass is because its the dumbest thing I've heard being thrown out there, based solely on the fact it has no ties to anything UIUC related minus the pun. It will either go over extremely well for its weirdness, or crash and burn so fast it doesn't last an entire academic year. I would absolutely love to see a live otter be involved. I guess it's too difficult to find a picture of a river otter to photoshop. Alma Otter merchandise is flying off the shelves already! Get the guy who created Gritty to do up OB, Orange-Blue creature. Alma Otter has the benefit of being a silly pun to connect to the university. I don't believe any other schools (aside from Columbia University) have such an iconic statue called the Alma Mater though. 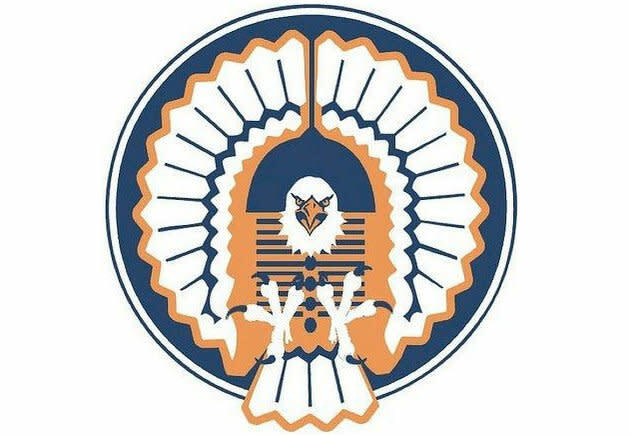 Is the Chief Illiniwek’s Facebook page post about a military-themed mascot legit?? If so, I’ll take that in a heartbeat. I vote nay to any military themed mascot. It's sports and entertainment, not war. Football games are not life and death. I'm down with the otter though. The otter can life in Boneyard. I really don't think any WW1 doughboy mascot is appropriate for a non-service academy. It is cool and if you go to the UIUC subreddit a lot of people have made some impressive looking mock-ups, but it's just not going to happen and probably shouldn't. Alma Otter all the way. Perfectly vanilla but still clever. Just keep the Fighting Illini name. I must be a crazy person. I must be. I feel like I am living in crazy town. How can anyone be ok with this? If we adopt an otter as our mascot I am out. I would be done. I won't associate myself with a laughing stock university anymore. Maybe I will wake up and this idiotic story will be a figment of my imagination. If this were something that happened unofficially, like how the Stanford Tree is unofficial, I would have less of a problem with it. But get the heck out of here by making this an official part of the university. IMO, there's a real difference between a mascot and a symbol. Mascots don't have to be symbols, and don't have to replace symbols. They can be mutually exclusive. Purdue Pete, Brutus, etc. etc. They're not the "symbol" of their respective school - more so fun way to celebrate the school at events. Stanford has a tree that runs around for christ's sake. A TREE! Has that negatively impacted their standing as an academic institution, positioning in the community, or quality of their athletics? No. But is it a fun way for people to think about the school? Yes. If it's driven by students and is fun, I'm all for it. 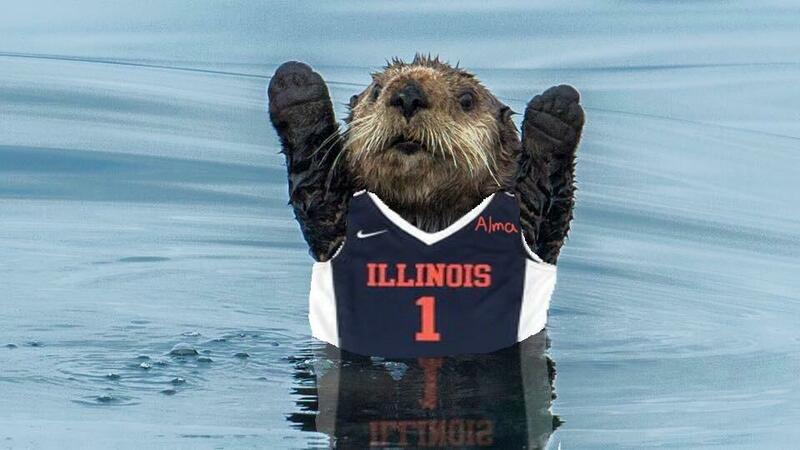 Hail Alma Otter! I'll take Alma Otter over the Doughboy. I have really complicated feelings about reducing soldiers to a mascot. Or, if you will, a symbol of an institute of higher learning. But Alma Otter? Non-controversial, good meme, and a native of the state's wildlife. Checks all the boxes, if you ask me. I have really complicated feelings about reducing soldiers to a mascot. Is this otter thing a joke/satire or is it real? There are scorpions in Illinois?